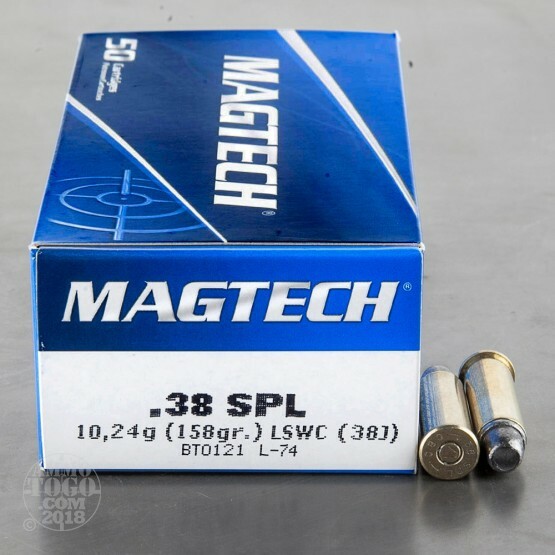 This 38 Special cartridge from Magtech features a 62 grain lead semi-wadcutter projectile. 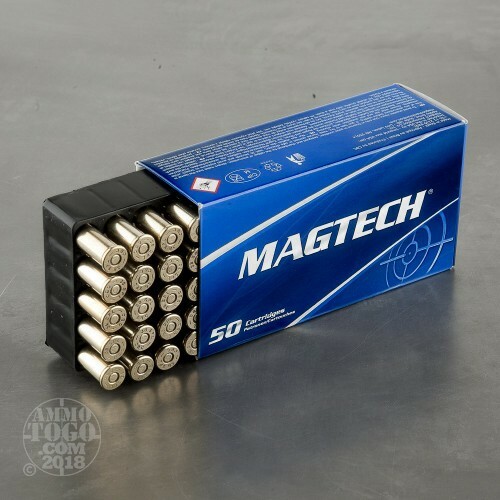 A wadcutter is a great selection for a variety of applications, including shooting paper targets where you’d like your shots visible and clearly defined in order to facilitate scoring, self-defense with a short barreled pistol that might not give a hollow point the sufficient velocity to expand during penetration, or just casual plinking. 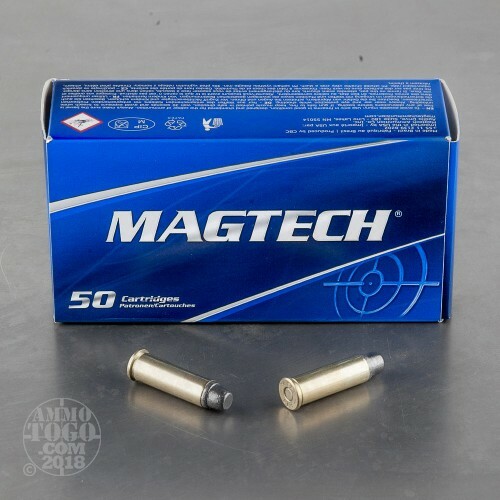 This particular wadcutter is tapered as well, which means that is easier to load in a cylinder, feeds more smoothly in a magazine fed weapon, and leaves behind relatively less lead fouling in the barrel. This bullet is made of lead, so it’s not only economical but can deform within soft targets to create an even wider wound channel than its broad tip alone would provide. 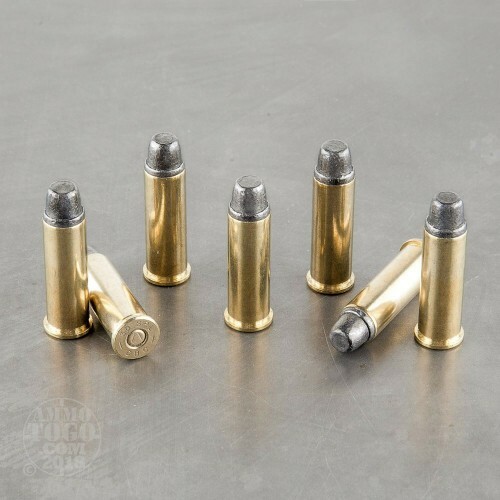 This round’s brass casing makes it just the item if you like handloading your leftovers, and its non-corrosive primer will protect your weapon’s barrel from being slowly eaten away by insidious caustic residues.